The aim of the meeting was to understand more fully the phenomenon of migration and its repercussions in today’s world, especially in the context of the current European situation. It also considered the identification of more effective and shared forms of solidarity. Around 100 men and women religious, as well as laypersons and experts attended this important meeting. Along with the other religious there were 10 members from the Congregations of St. Joseph representing six autonomous St. Joseph families of Europe. A strong appeal was launched for intensified network-building among congregations, associations and other organizations in countries of origin, transit and destination. The network represents one of the most efficient ways of using energy, skills and resources, to give greater impetus to the already extraordinary work that these entities carry out. In Italy alone, some 23 million people (almost a quarter of the refugees present in the country) are received by parishes, religious communities, monasteries and sanctuaries. 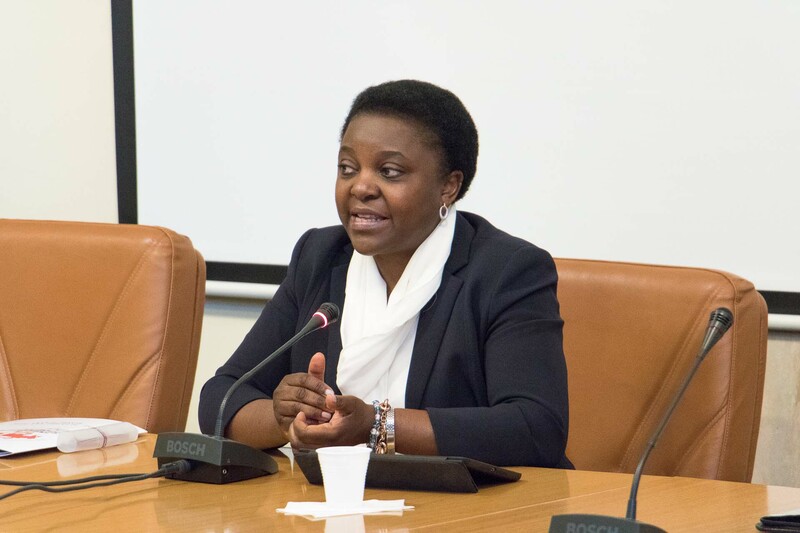 The participants expressed major concerns regarding the large number of often unaccompanied minors involved in migratory flows, as well as the many young women, especially from Nigeria (more than 4,000 in 2015) who risk falling into the trap of exploitation and prostitution.